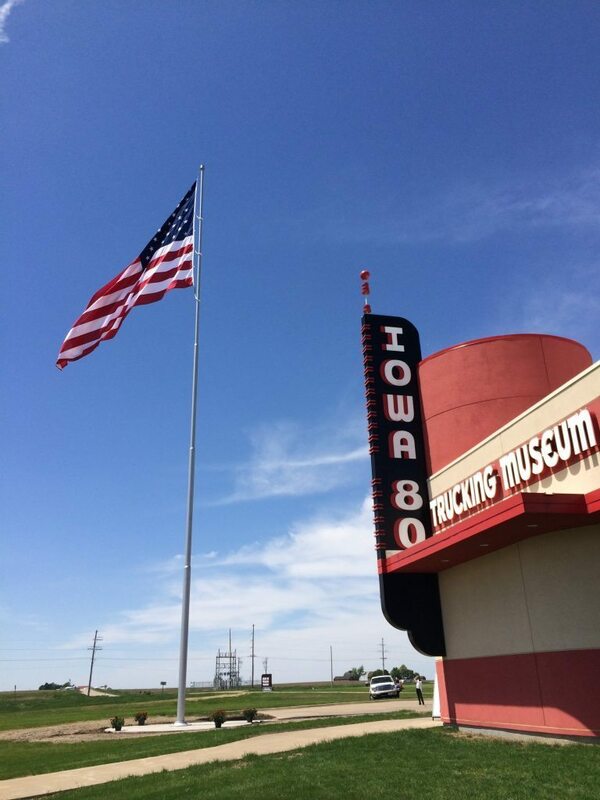 Iowa 80 Trucking Museum held a Flag Dedication ceremony today at 1:30 PM at the museum. The 25’ x 40’ U.S. Flag is now flying proudly on the Museum’s newly installed 100-foot tall flagpole. It is the largest known flag in the Quad City Area. The flag and flagpole were donated by the Iowa 80 Truckstop to the Iowa 80 Trucking Museum in honor of all of the men and women who have served and continue to serve in the U.S. Armed Forces.